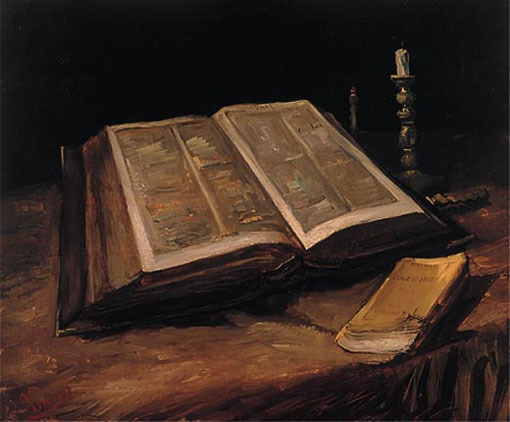 It was exhibited as a picture of the material, above all I was surprised to relics Bible of the magnitude of the father [pastor]. 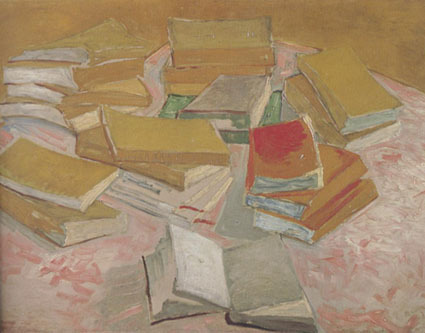 In addition, there is a yellow book. 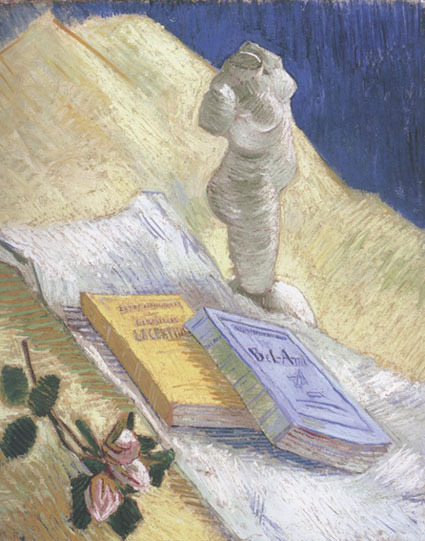 Of Emile Zola called "raw joy (la joie de vivre)"; 1884 first edition... It had a major impact on Japan of the Meiji era. This book, comes out also in the picture of the 1888 under. 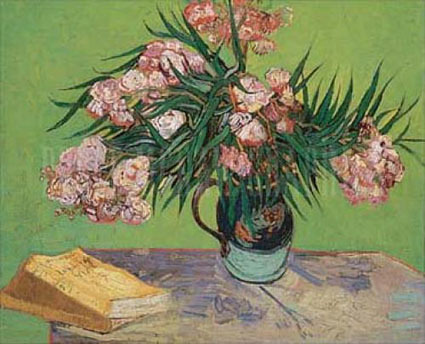 For Van Gogh, oleanders were joyous, life-affirming flowers that bloomed "riotously" and were "continually renewing"themselves. 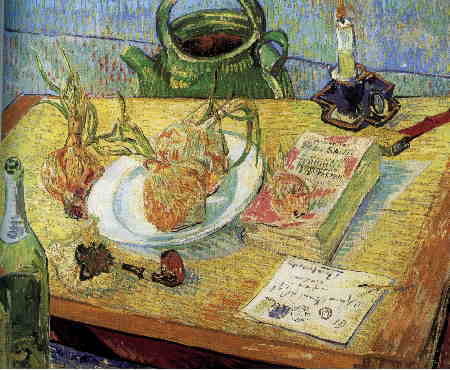 In this painting of August 1888, the flowers fill a majolica jug that the artist used for other Arles still lifes; they are symbolically juxtaposed to Emile Zola's "La Joie de Vivre," a novel that Van Gogh had earlier placed in contrast to an open bible in a Nuenen still life of 1885. 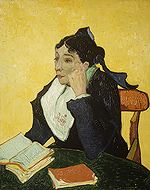 L'Arlesienne Madame Ginoux with Books. The Metropolitan Museum of Art蔵, New York, USA.